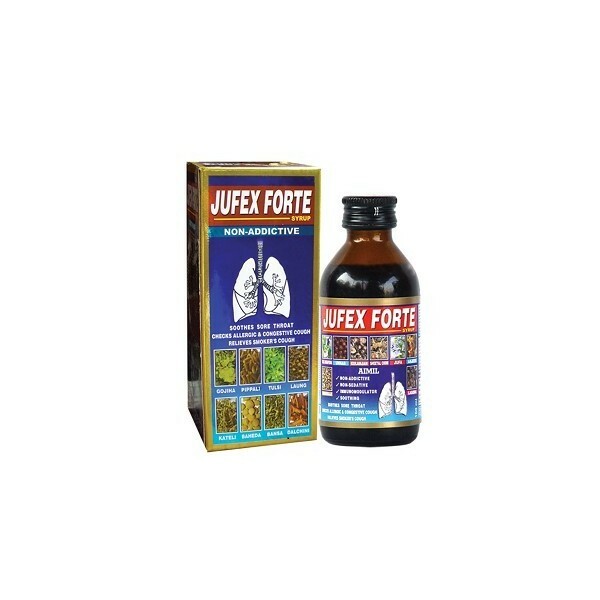 Jufex syrup is a special formula for all ages, scientific, more human caring and compassionate approach to treat viral infections of respiratory tract, recurrent sore throat, childhood bronchitis, congestion, cough and cold etc. Basis for health maintenance needs to have activity restoration & nutritional supplementation, both of which are accomplished by JUFEX SYRUP. It cures the causative factors and simultaneously boosts the body defense system so as to strengthen the body to fight against allergies, infections and the other climatic changes problems. 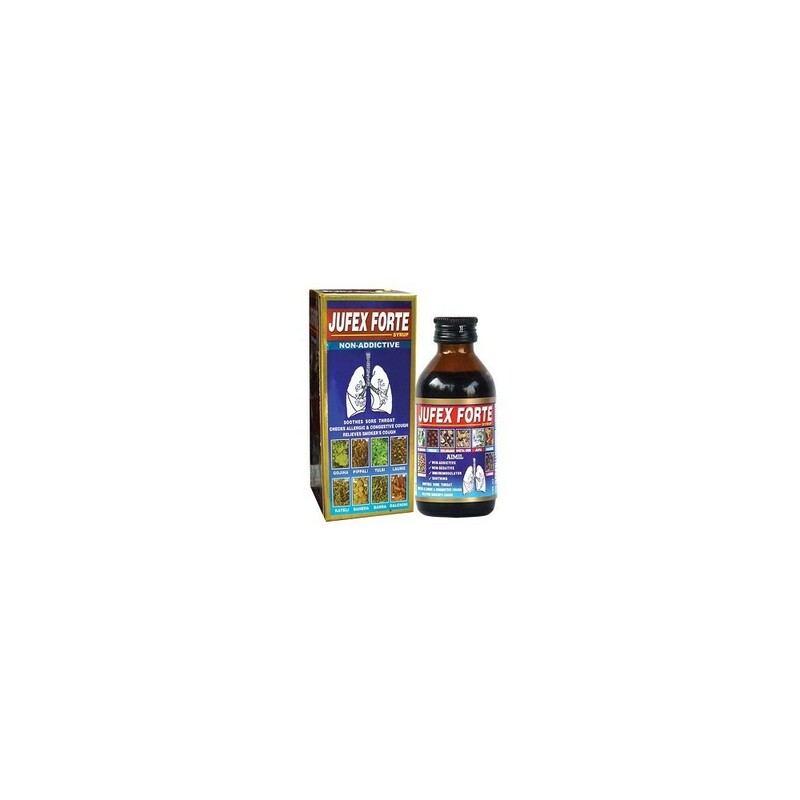 It is a best Ayurvedic treatment for cough It is a best quality cough syrup and provides health support & boosts energy & growth. It is an herbal medicine for cold. Safe: Completely safe & free from adverse effects. Children : 1-2 teaspoonful twice ot thrice a day with lukewarm water or as directed by Physician.